Country living at its best! Great space for family to grow. 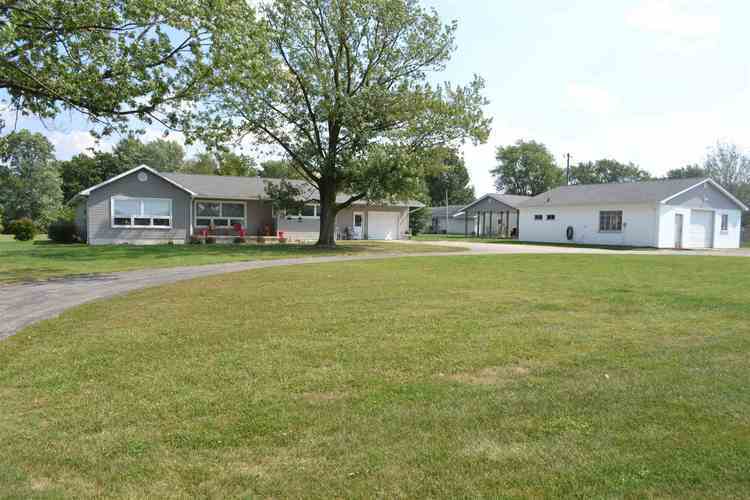 Ranch with 3 bedrooms, 2 full baths. Custom kitchen with eat-in area. Huge dining room open to kitchen and great room. Lots of natural sun light in this house. Huge master suite with private bath and walk-in closet. Solid wood 6 panel doors. 1st floor large laundry room. Large unfinished basement. 1 1/2 car attached garage plus 2 1/2 car detached garage, outbuilding/barn built 2017, 30 x 38 and insulated, outdoor covered patio, large generator. McCutcheon Schools. So very well maintained. Lots of love and care in this property. Directions:South on 18th Street, turns into 150, house on left.